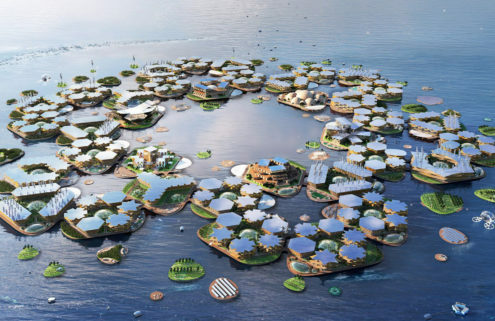 People are ditching bricks and mortar (and even solid ground) behind in cities across the globe in favour of floating homes. Canal boats have long been favoured as off-grid urban retreats, with the added bonus that their occupants can up sticks at the drop of a hat. But they’re often on the smaller side. 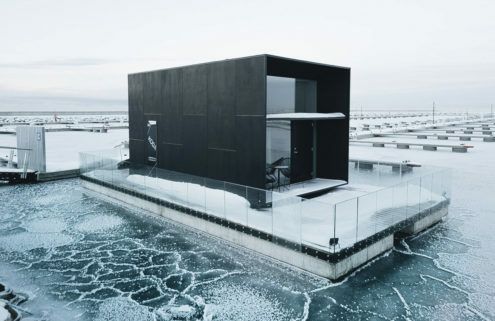 Here are five floating homes that use their square footage wisely, from a river barges with views of the Louvre to a minimalist take on aquatic living. 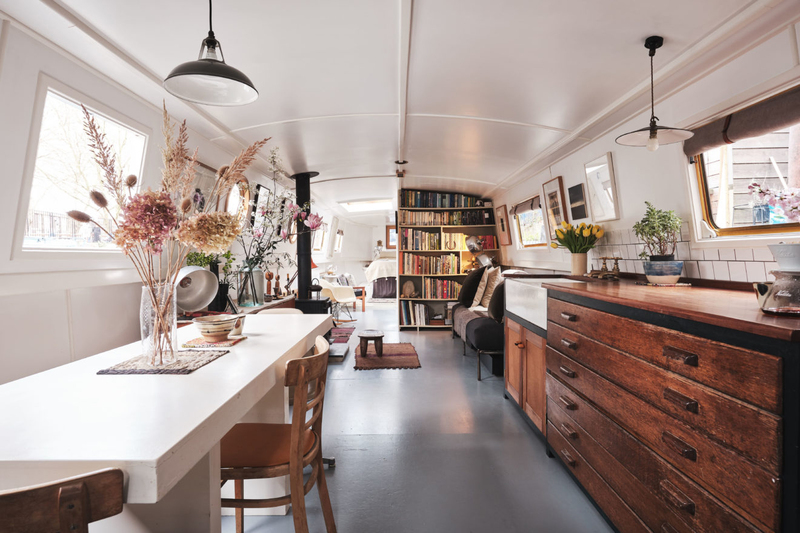 Located just over the river from Paris’ Jardin des Tuileries, this 39-metre-long barge is spacious enough to include two separate apartments. There are views to the Louvre and across the Seine from its portholes, and plenty of space to sit and enjoy them from the boat’s main living space. 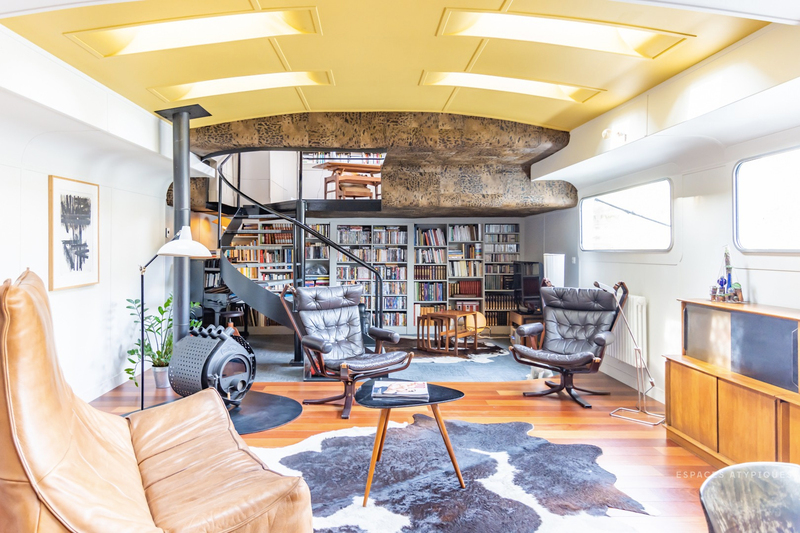 According to the agent, the two flats can be easily combined, giving the boat four bedrooms in total, as well as an upstairs study – reached by a curving metal staircase. Views of the city lights can be enjoyed in the evenings from the barge’s terrace. 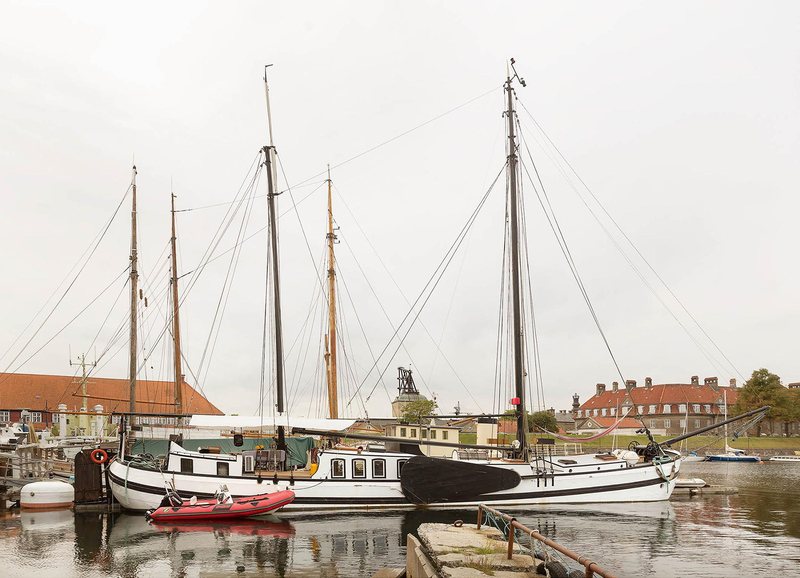 Nautical living gets a Scandi upgrade in this five-bedroom floating home, located in Copenhagen’s Holmen neighbourhood. 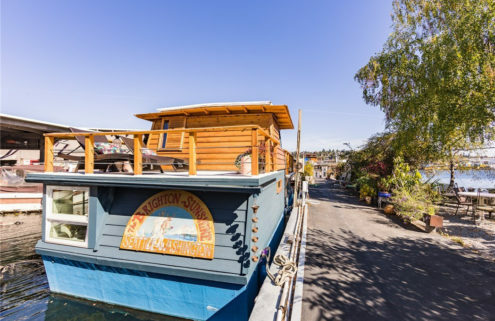 The boat was built in 1910 as a charter ship before being converted into a home. Would-be owners with the travel bug will be pleased to know the engine is fully functional, meaning the home can leave port at any time. For those that are more interested in cosying down on the water, the entire boat has been sandblasted, painted and insulated. Whitewash walls and wooden floors run throughout the home, forming a neutral backdrop for future owners. 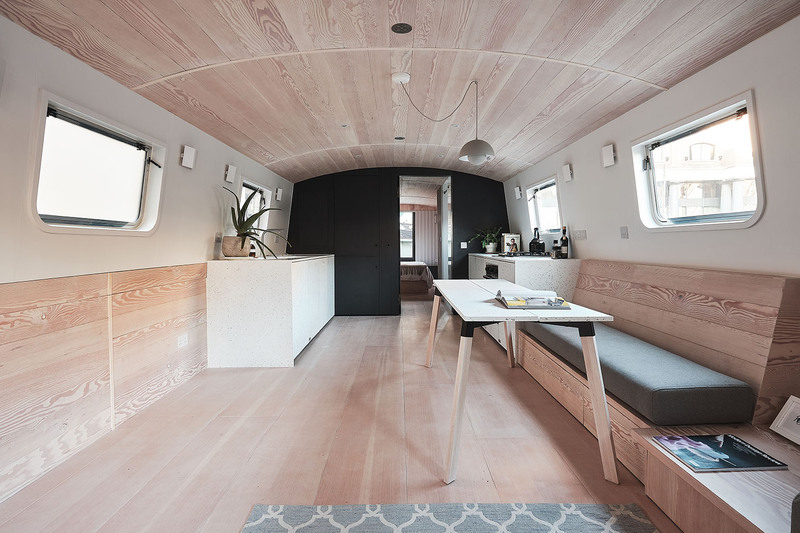 31/44 Architects have taken minimalism to the water for this 60-ft-long canal boat, moored at London’s St Katherine’s Dock. Inside is a blank canvas, outfitted with bespoke upholstery, furniture and fittings by the studio – including handmade kitchen worktops made from recycled yoghurt pots. 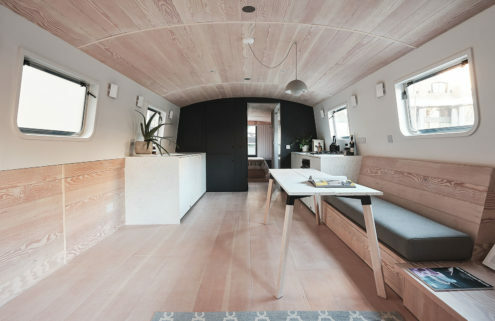 The one-bedroom houseboat is lined with Douglas fir flooring and tulipwood cladding and outfitted in a monochrome palette that’s ready for a new owner’s personal stamp. This Freycinet barge dates back to 1939 and was once home to German painter Hans “Jimmy” Giebeler. Its riveted hull hides a huge loft-style living space, while its wheelhouse has been converted into a timber-panelled sitting room. 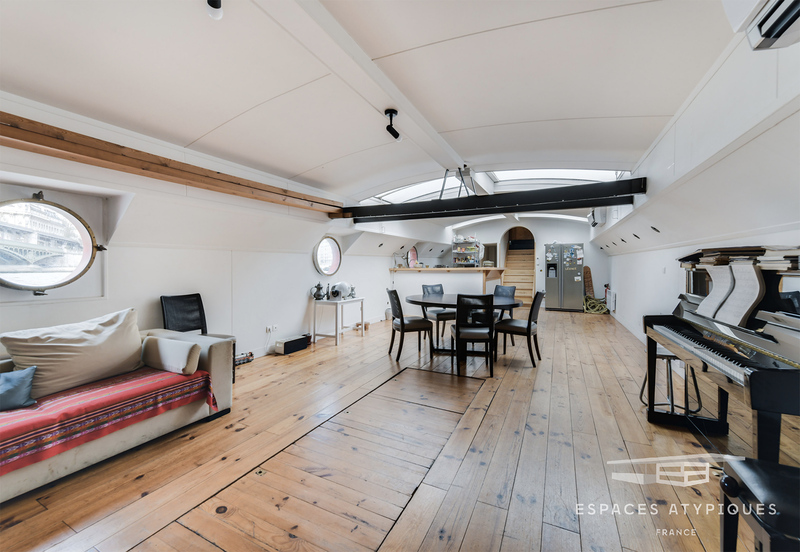 The three-bedroom floating property has two terraces and is moored within sight of the Eiffel Tower.